During the first week of November, Johnny and I flew down to Miami to attend a friend’s wedding. 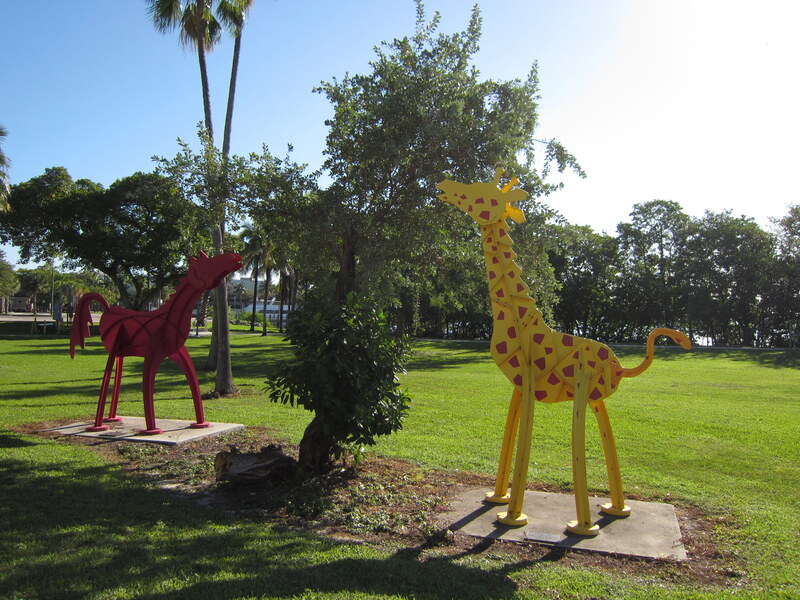 Amy and Matt were to be married in the Coral Gables area. So it only made sense that we should spend a few nights in close proximity to their wedding venues. 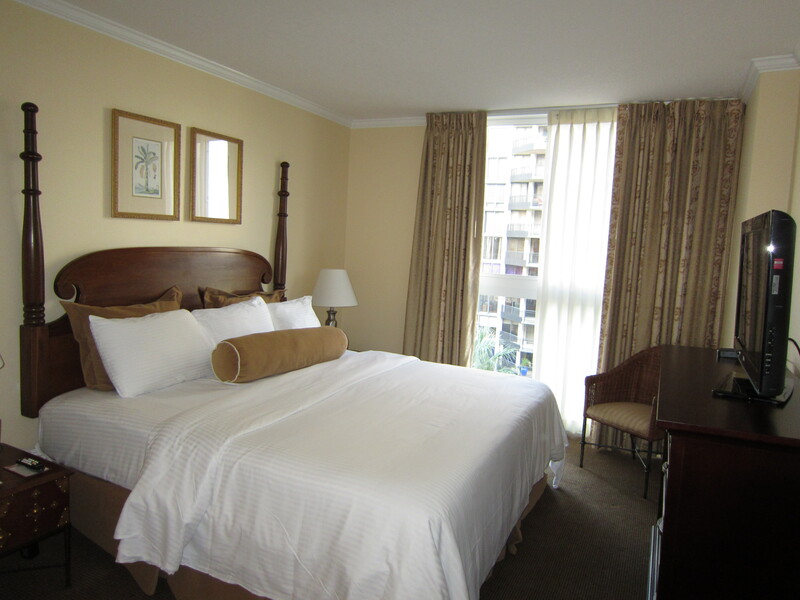 After researching hotels in the Coral Gables and Coconut Grove neighborhoods, I made the decision to reserve two nights at The Mutiny Hotel. There were a few reasons why I settled on The Mutiny. First, it is conveniently situated within a few miles of the Plymouth Congregational Church (site of the wedding ceremony), and the Biltmore Hotel (where the reception was going to be held). 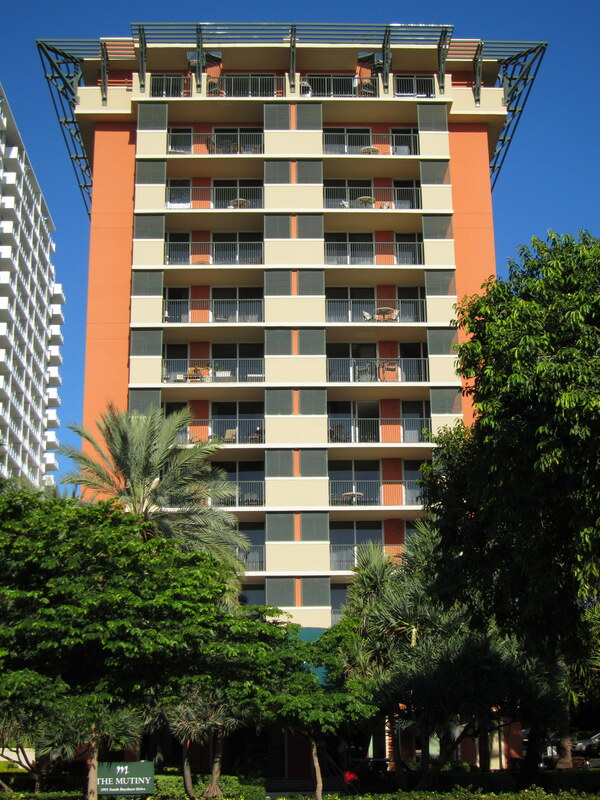 Secondly, it offers condo-style accommodation. Each one-bedroom suite averages around 750 square feet, which means there would be plenty of room to move about. I also simply love hotel rooms that are equipped with kitchens/kitchenettes. 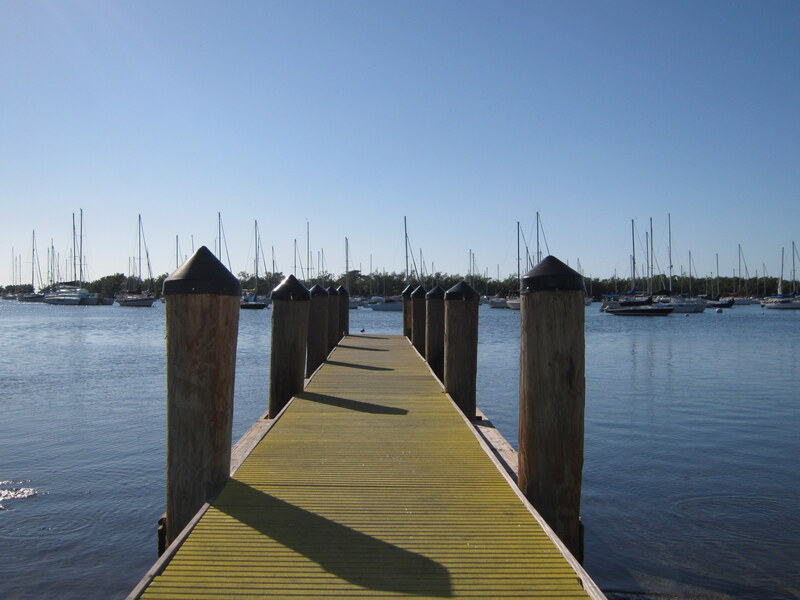 Third, its location by the Biscayne Bay provides amazing views of the marina. When we arrived at The Mutiny, we noticed how tropical and soothing the interior of the hotel feels. 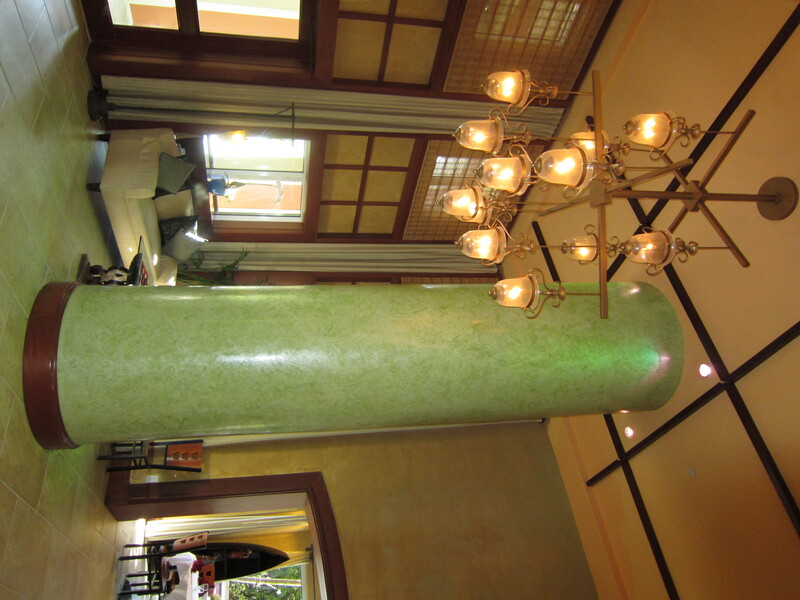 The lobby is accented with green-jade columns, and filled with furniture in earth-tone colors. It definitely exemplifies East-West aesthetics. 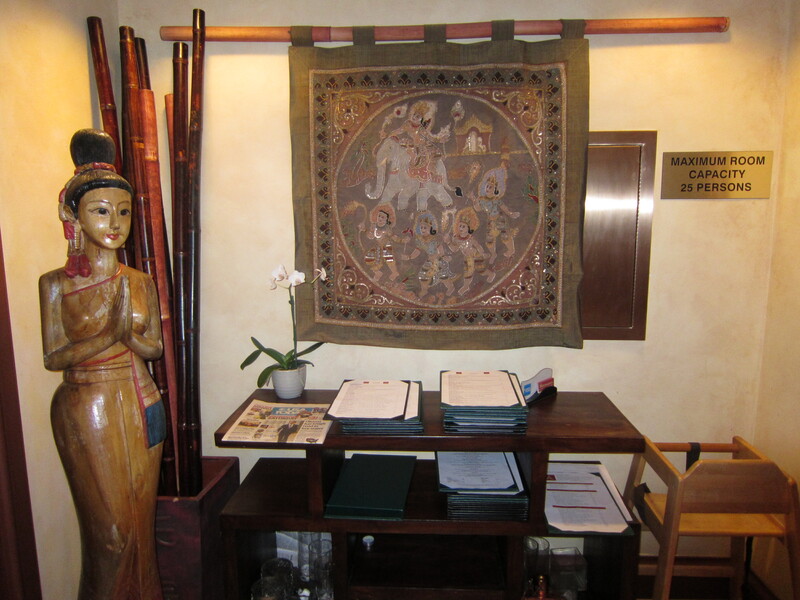 Our check-in process went smoothly. 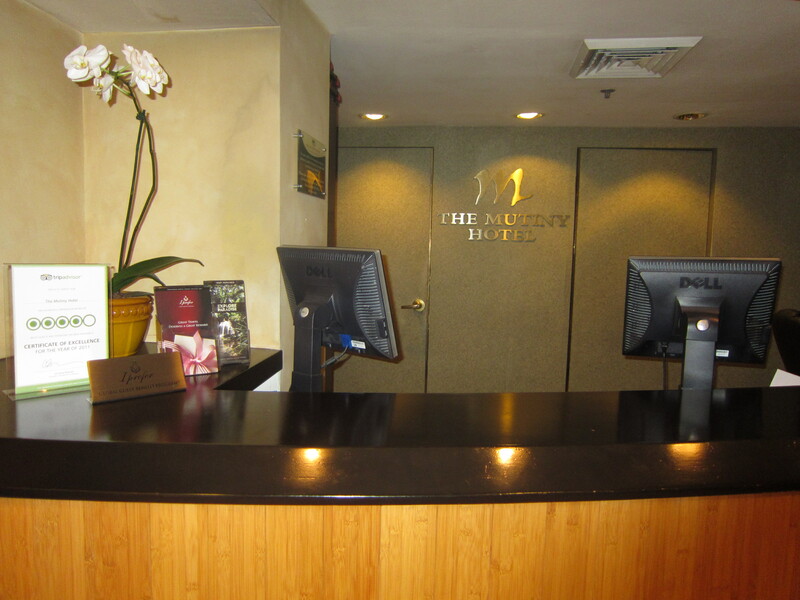 The only regret that I had was not knowing that The Mutiny belongs to the Preferred Hotels and Resorts group. I have membership to this group. Had I known before hand, I would have booked our stay through the Preferred website, which entitled me to extra amenities. 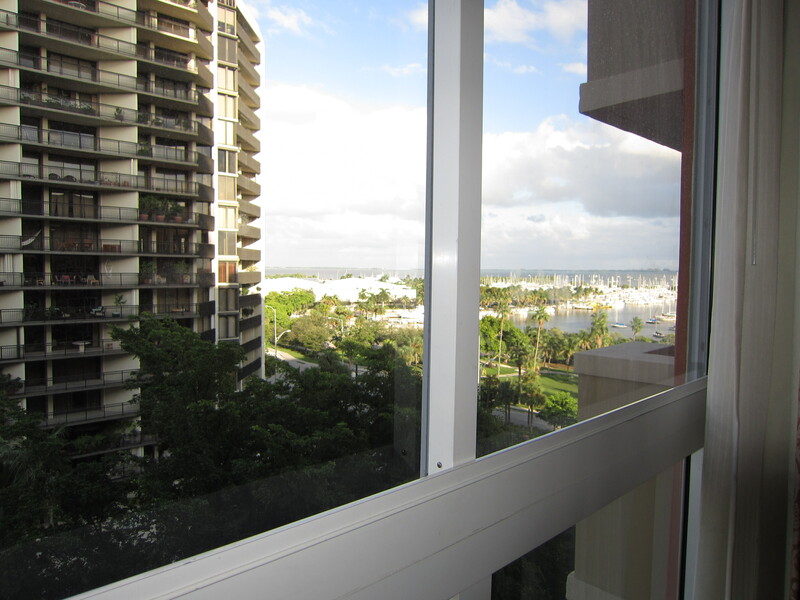 However, I did ask the front desk staff to put us in a bay-view suite, and he did his best to accommodate our request (more on this a bit later). 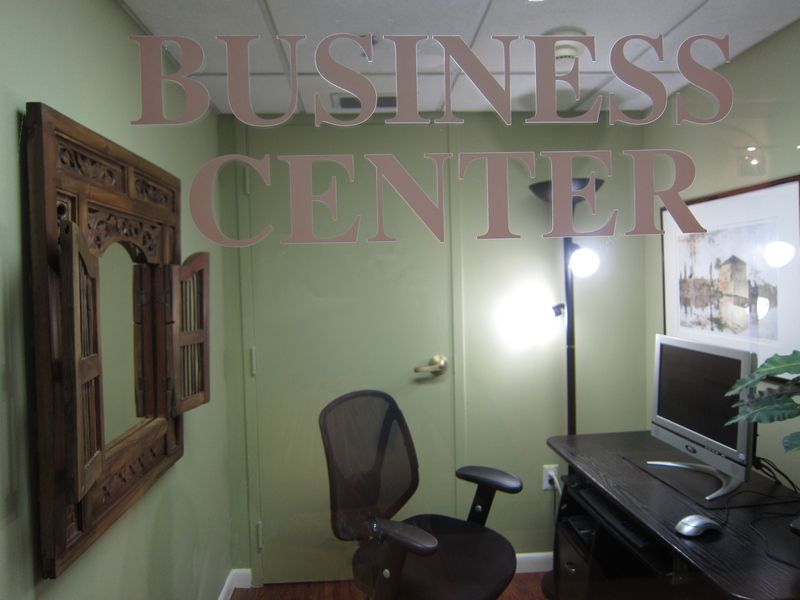 As we were walking towards the elevator, I took a glance at the business center. Surprise, surprise… I own a mirror that is very similar to the one they have in this office. I decorated my house with all things Indonesian, and The Mutiny has now officially made me feel at home. The Mutiny’s business center transported me back to my home country, Indonesia. We went up to the ninth floor to get to our suite. From what I understood, some units in this building are individually owned as timeshares. So if you ever book a room at The Mutiny, yours might look very different than what we got. Although it is simple, our unit has everything we could possibly need and want. The full kitchen comes complete with eating utensils and a kitchen towel. 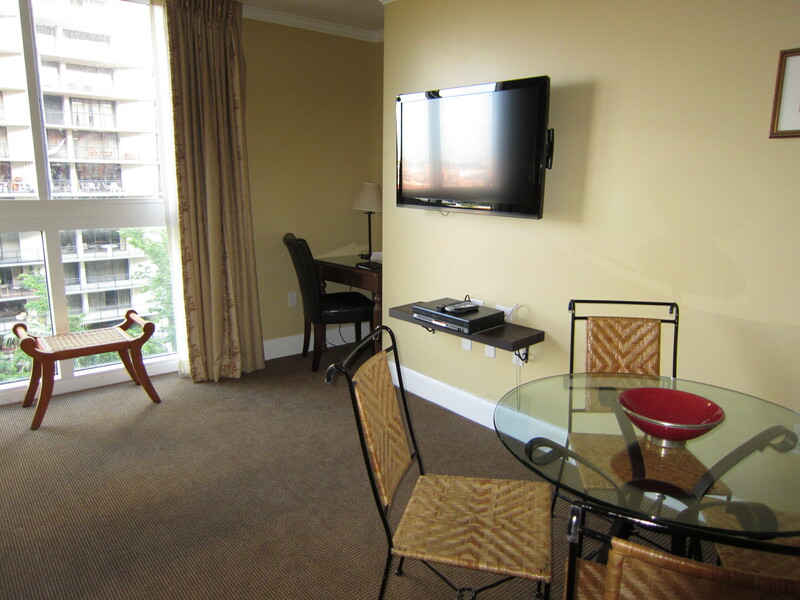 There are two flat screen TVs: one in the living room, and another one in the bedroom. Our suite does not have a balcony. 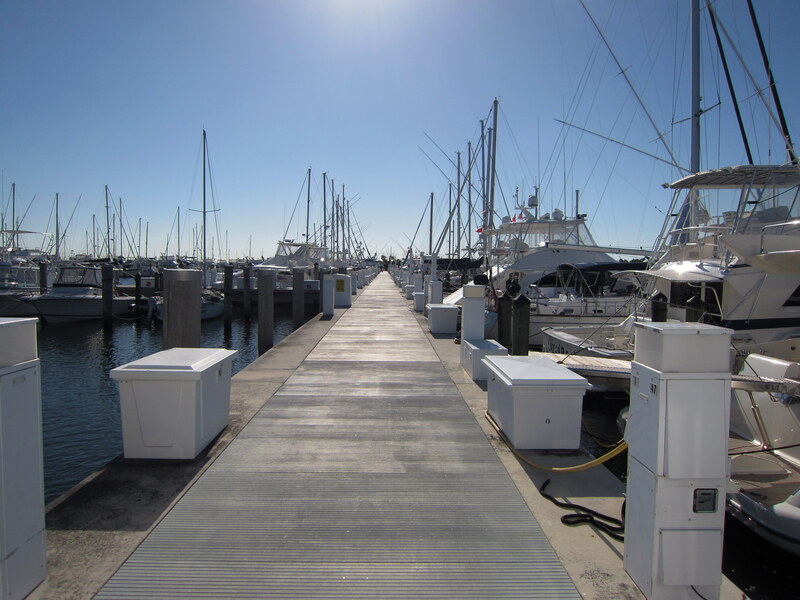 However, it offers a partial bay view which we very much appreciated. 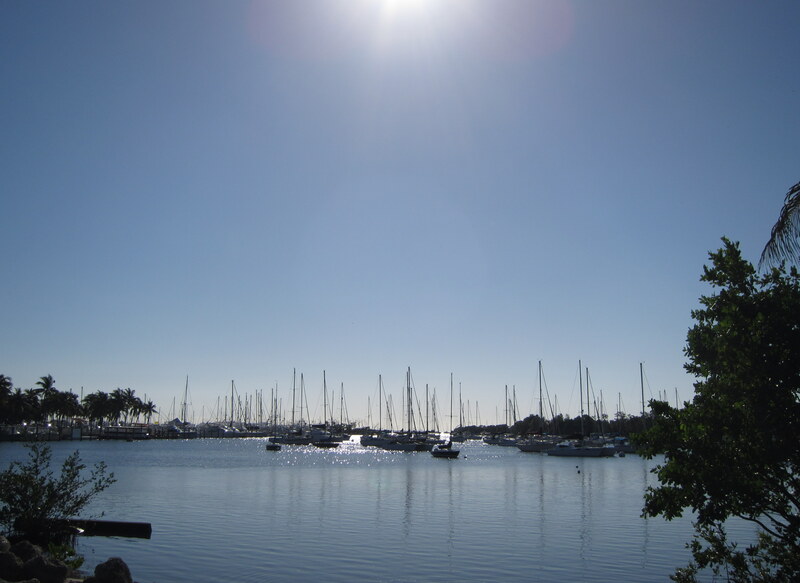 My picture is not very clear, but you can see the bay and the marina across the street from our hotel. After a long day, we felt very tired and took a nap. When we woke up, we were ready to have something to eat for dinner. I wanted to try The Mutiny’s restaurant downstairs, Atchana’s East/West Kitchen. As the name implies, it serves both American/Western and Asian dishes. I ordered egg rolls, chicken dumplings, and teriyaki chicken. I must tell you that the chicken dumplings were my favorite, and some of the most delicious I have ever had. Atchana’s indoor space. 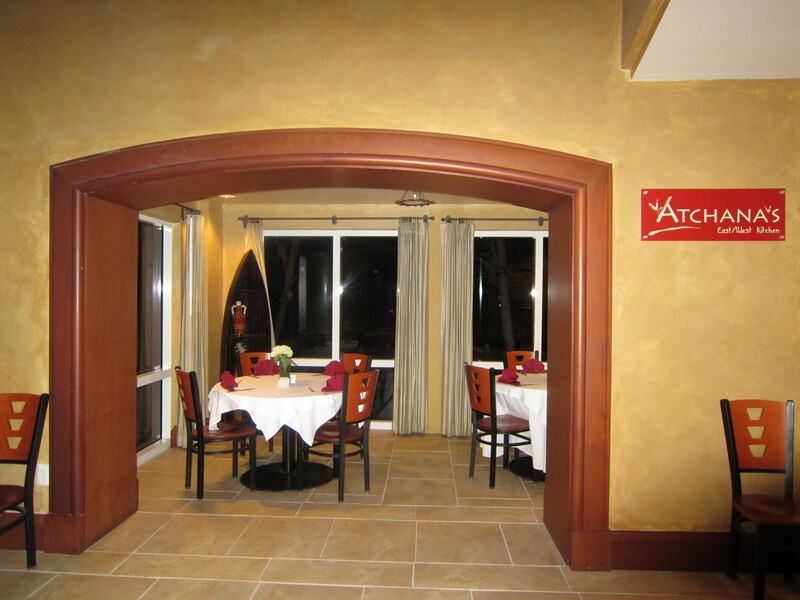 Patrons can also dine outside by the pool. Another reason why we liked The Mutiny is that it is within walking distance to all the shops and restaurants at CocoWalk. Each night during our stay, Johnny headed over to CocoWalk to buy us food and drinks. We never got a chance to use the swimming pool. 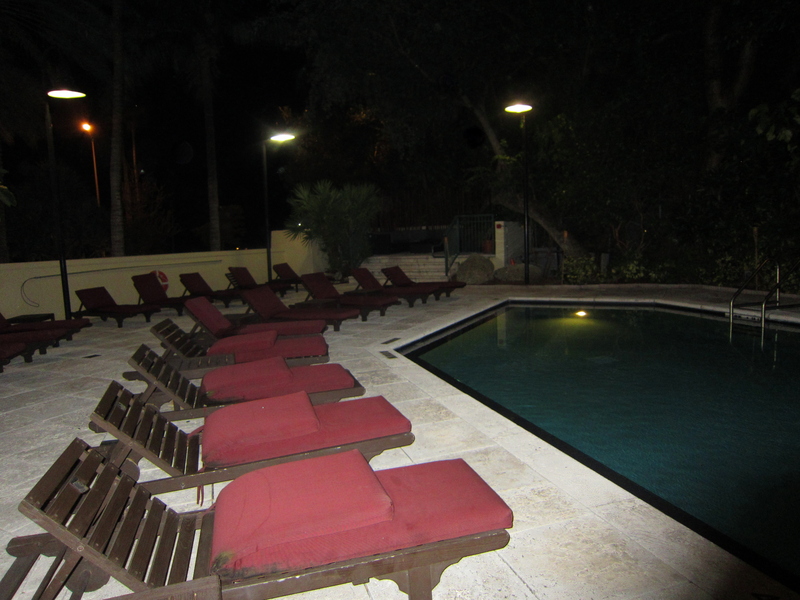 However, we did enjoy walking around the pool area at night time. It was a great way to wind down before going up to our room. Since we had free time before our friend’s Friday afternoon wedding, Johnny decided to take a walk along the bay. 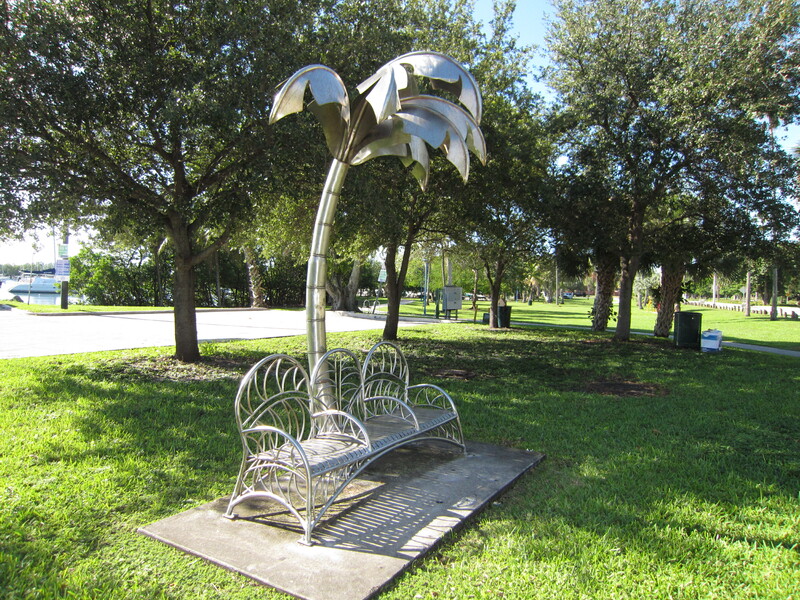 There’s a park right across from our hotel, and they have benches for people to relax and take in the beautiful views. We enjoyed our stay at The Mutiny. 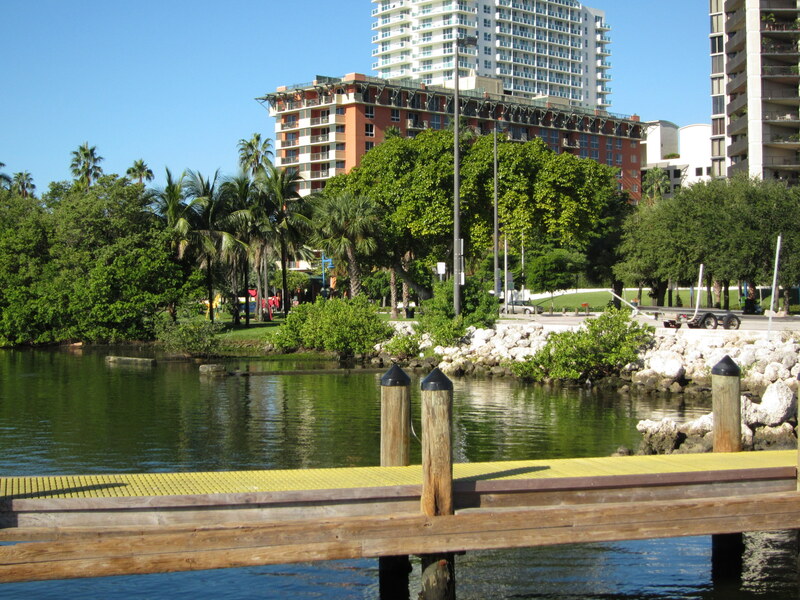 It’s a good base for people who would like to explore the greater Miami area. It will only take a few minutes of driving time to get to Miami Beach, Key Biscayne, Coral Gables, and the downtown area. 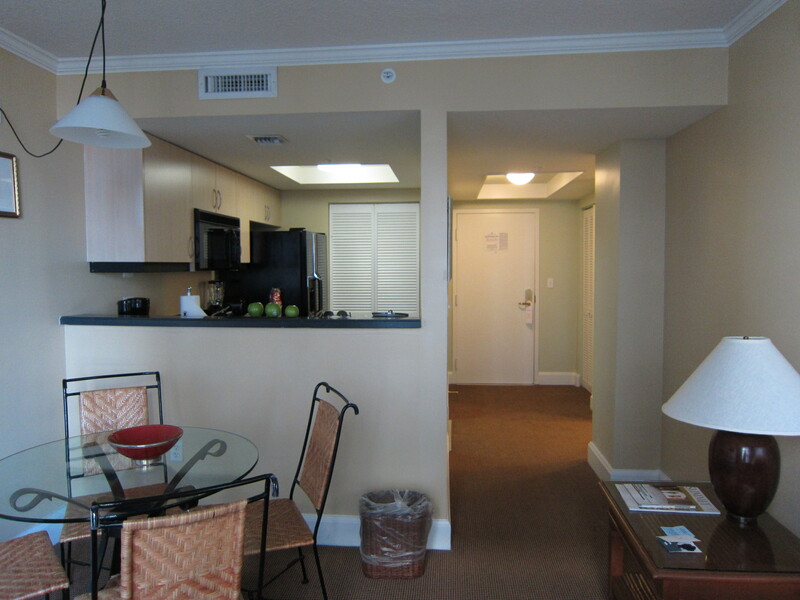 Additionally, its apartment-style units are perfect for those who plan to stay here for longer periods of time.